Telstra has faced a massive change in industry structure with the NBN tearing at the traditional heart of the business; this provided a burning platform for change. Additionally, there was an impending succession of the CEO, significant change at the executive level, increasingly competitive market conditions in the traditional stronghold of mobile, and a recognised need to reduce costs significantly. The temptation with all of these challenges was for Telstra’s leaders to retreat into their silos or become territorial, when the exact opposite was required to adapt to, and take advantage of, the massive challenges and opportunities ahead. The new CEO, Andy Penn, decided to unite the organisation around a new and compelling vision. Telstra would become a world-class technology company that empowers people to connect. This vision became the burning ambition and set the context for all of our work together. Initially, we undertook diagnostics to determine Telstra’s level of alignment to its vision, as well as to determine the leadership effectiveness of the most senior leaders. These diagnostics led to a focus on five key streams of work, in close collaboration with key internal change agents. The first stream aimed to close the gap between leadership intention and leadership impact. Each senior executive received 360-degree feedback, regular personal coaching and developed a ‘leadership scorecard’ to encourage alignment between KPIs, quarterly deliverables and desired behavioural shifts. Team feedback processes were introduced to improve transparency, accountability and goal alignment across divisions. The second stream aimed to build a compelling narrative to support the new vision, which was then reinforced in a broad range of communication channels. The third stream aimed to increase the productivity of the organisation’s most important meetings. Through quantitative and qualitative data, as well as extensive observation, we agreed ten enablers and ten inhibitors to meeting effectiveness. This resulted in 20 recommendations supported by tools, templates and a range of new practices that were implemented across all key meetings. 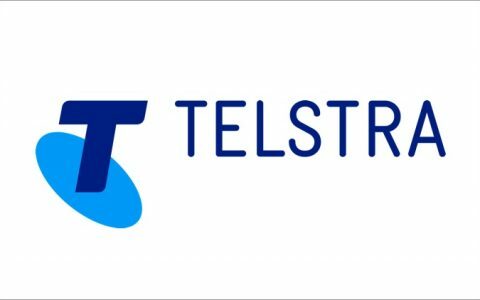 The fourth stream aimed to bring Telstra’s values to life. The values were seen as aspirational and were not always translated into leadership behaviour. Together, we turned the values into behavioural standards, measured them regularly and provided forums for feedback and mutual accountability. The fifth stream aimed to increase the effective implementation of the organisation’s strategic initiatives, by setting each initiative up for success using contracting disciplines. A case study project was selected and used as a proof point for the new contracting process to produce clear outcomes with no wasted effort, and this became the catalyst to spread the practices widely. Given the scale of the organisation and executive commitment to our work together, we then embarked upon an ambitious project to embed all of this work into the DNA of Telstra over time – something that was enabled via technology, capability transfer and close collaboration with the CEO Office, HR, Communications, Strategy and several senior executives who sponsored each stream of work. Over the three years of our partnership, we were able to significantly increase alignment across executive levels to the vision, values and strategy. Leadership effectiveness at the most senior levels increased by some 20%, off an already constructive base. Meeting effectiveness for executive forums increased by an average of 32%, enabling much greater outcomes with far less effort. The focus on alignment and interdependencies across the organisation enabled peers to collaborate and support one another in the achievement of their goals, breaking down silos that had been present for some time. The work has not stopped at senior levels. A unique combination of executive commitment and modelling, internal change agent capability, and a high trust partnership between Telstra and TAP, has now enabled the work to be experienced by thousands of Telstra employees. In fact, the ultimate success of the work can be seen in the degree to which the practices, language and tools have made their way into the day to day operating rhythm of the organisation – something that will naturally evolve to support Telstra’s continued success over time. “We have worked closely with TAP for three years, through a period of CEO succession, many executive leadership changes and large scale cultural transformation. During that time, we have experienced many positive outcomes including greater alignment across our executive levels to our vision, values and strategy, as well as statistically significant shifts in leadership effectiveness and meeting effectiveness. TAP challenge us, distil and synthesise complex concepts expertly and, engage with focus and humour. They hold us and themselves to account and strive to make each engagement productive and effortless for us. Engagement with TAP is characterised by exacting standards, critical insights and pragmatic solutions. Peter and Graham complement each other very well to bring the right levels of thought and practice leadership, at just the right times. TAP is unique in its blend of proprietary IP and willingness to reach into the organisation to ensure it is embedded and owned by us. Compared to other consultants, TAP moves easily between delivering strategic insights and inspiring large groups of employees to drive behavioural change.